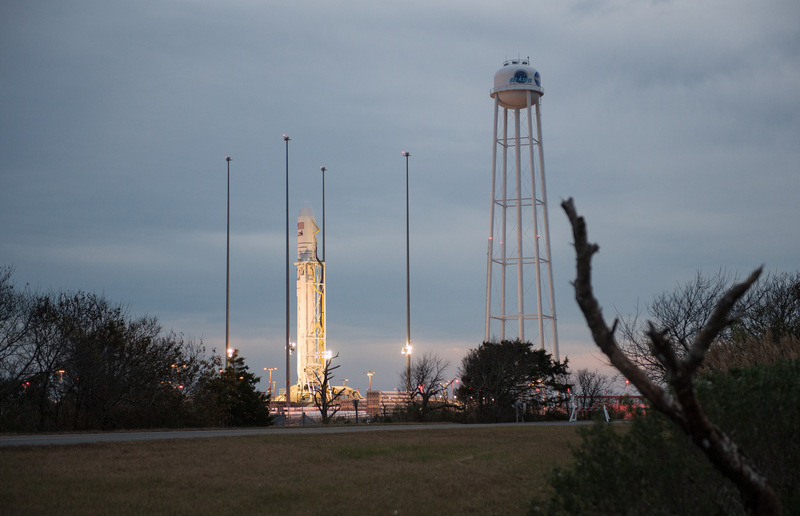 The launch of Northrop Grumman’s Antares rocket with Cygnus cargo spacecraft is now targeted for 4:01 a.m. EST Saturday, Nov. 17, from Pad 0A of Virginia Space’s Mid-Atlantic Regional Spaceport, located at NASA’s Wallops Flight Facility on Virginia’s Eastern Shore. NASA TV will provide launch coverage with commentary online beginning at 3:30 a.m. The teams decided to wait another day for launch after assessing continuing unfavorable weather conditions, including high winds and high seas, forecast for Friday morning. The forecast for a launch Saturday is significantly improved with a less than five percent chance of weather conditions preventing a launch. Under NASA’s Commercial Resupply Services contract, Cygnus will carry about 7,400 pounds of crew supplies and hardware to the International Space Station, including critical science and research investigations. A launch Saturday would result in capture and berthing Monday, Nov. 19.